Adolph Angerthal (1861 – 1943) was widowed and had a son, Herbert, who was able to emigrate to Palestine early enough. Herbert is named as Director in the 1925 list of voting members of the Synagogue community of Frankfurt (Oder). 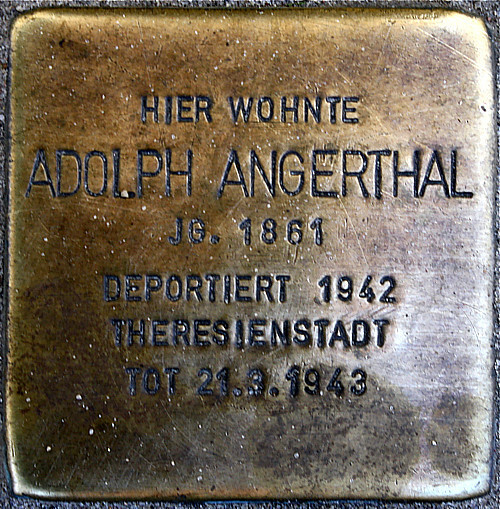 His father Adolph lived from September 1942 in Kurfürstenstraße in Berlin, but was deported to the Theresienstadt Ghetto in early November 1942. He died there at the age of 82.